The Division of Rehabilitation Services, or DRS, is a comprehensive employer assistance program for business owners and employers. Our goal is to assist business owners and employers with disability-related issues. DRS can provide you with critical business options in the areas of staffing, education, tapping into financial incentives associated with hiring a person who has a disability, which can be a permanent injury, illness or impairment, or insuring accessibility to your goods and services. We offer a quick summary of our services on this website. 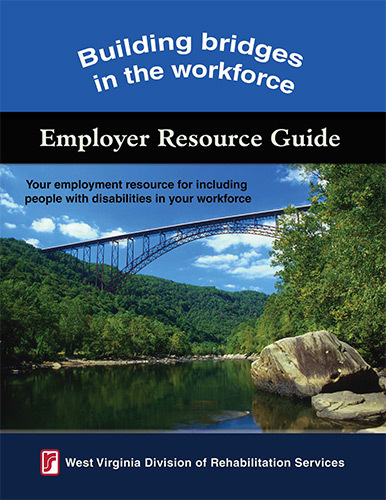 For a concise yet comprehensive explanation, consider downloading our employer resource guide: Building Bridges in the Workforce. DRS employs a professional team of Employment Specialists through its Employer Services program, to provide business owners and employers with real opportunities to build on their business or organizational success. Serving our clients is the primary focus of everything we do, whether it's a business with a disability-related issue or an individual who has a disability.